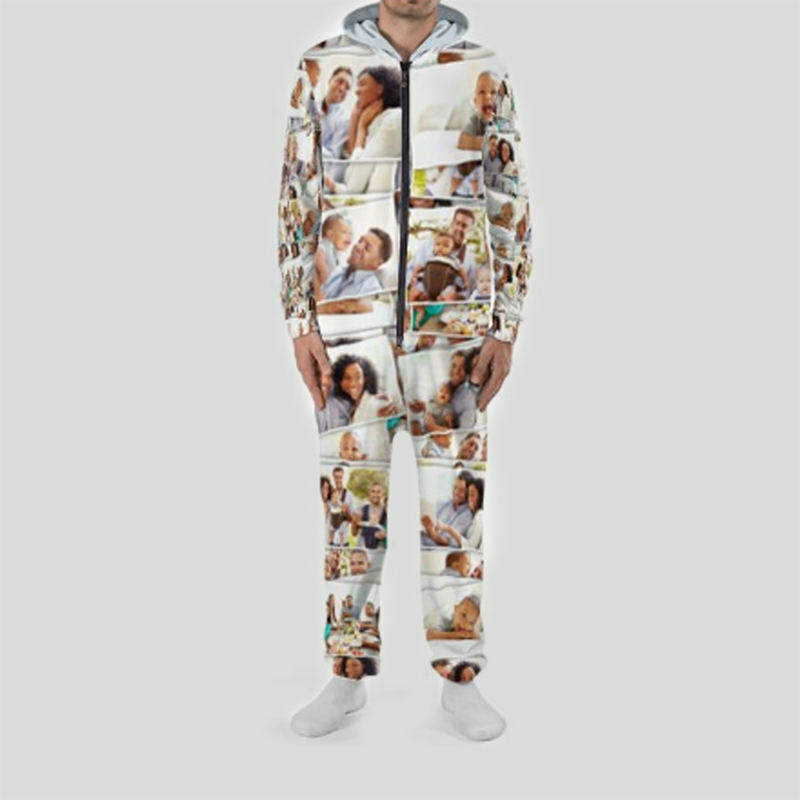 This fully printed comfort custom onesie is ready to be completely customized with your photos and/or graphics on it, you can even use your own face. The perfect gift for friends or family, this bespoke gift will keep you warm and comfortable. Design your own onesie online and preview before you buy in our easy to use design tool. Created by us and designed by you. The onesie is a fashion piece loved by everyone, so we wanted to make sure our all-in-one was designed with you in mind. Featuring a relaxed fit, you will love lounging around in your unique piece. Our Onesie is designed to be a loose fit to allow for other clothes to be worn underneath. The crotch is quite low to help with ease of getting in & out, and with movement and bending. 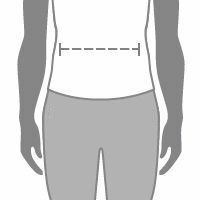 Our customized all-in-one is unisex with the size based on height and hip size. Create your own piece of customized lounge wear for yourself, or as a gift for the person who has everything. Teenagers will love designing their own onesie as opposed to settling with the boring and generic versions found in stores. Every onesie is printed and sewn by our designers and seamstresses as soon as your order is placed to ensure delivery within a couple of days. Comfy material, good quality print out pictures, fast delivery. Love it! Thanks! Good quality material, well made and received promptly. Happy customer! Design came out better than I hope! super happy and recommending to others! My sister absolutely loved this product. It is super comfortable and the print was perfect. I will be back to shop at Bags of Love. Created by us and designed by you! The onesie is a fashion piece loved by everyone, so we wanted to make sure our all-in-one was designed for everyone. Featuring a relaxed fit, you will love lounging around in your unique piece. Our customized all-in-one is unisex and the size is based on height and hip size. Three-year guarantee on print, components and stitching finish. Your design is printed onto the fabric using modern printing technologies by trained technicians. This ensures edge to edge printing and bonds the exo friendly inks deep into the fibers of the fabric, leaving a long-lasting, texture free print. Your personalized onesie is then cut to our bespoke pattern by skilled craftsmen before being hand stitched by expert seamstresses. Care: Close the zipper and turn inside out before washing. Washing at higher temperatures will cause unwanted shrinkage of the garment. Avoid tumble drying as this will shrink the garment too and make the zipper wavy. We have selected a soft jersey for this garment. It has a soft handle and will last a long time. We recommend turning your garment inside out before washing, wash at 30°c, wash with similar soft garments and do not tumble dry. Create your own piece of customized lounge wear for yourself, or as a gift for the person who has everything! Print the onesie with a huge range of options, from a favorite photo to your own face! Teenagers will love designing their own onesie, as opposed to boring generic versions found on the high street. Each onesie is printed and sewn by our seamstresses right here at Bags of Love facility in London so you can design your own onesie though them. Use our online design tool to create a gift he'll absolutely love. Design your own sleeveless dress and customize it your way. Make a statement with your own photos and images. Keep warm with a hoodie that's completely your own.